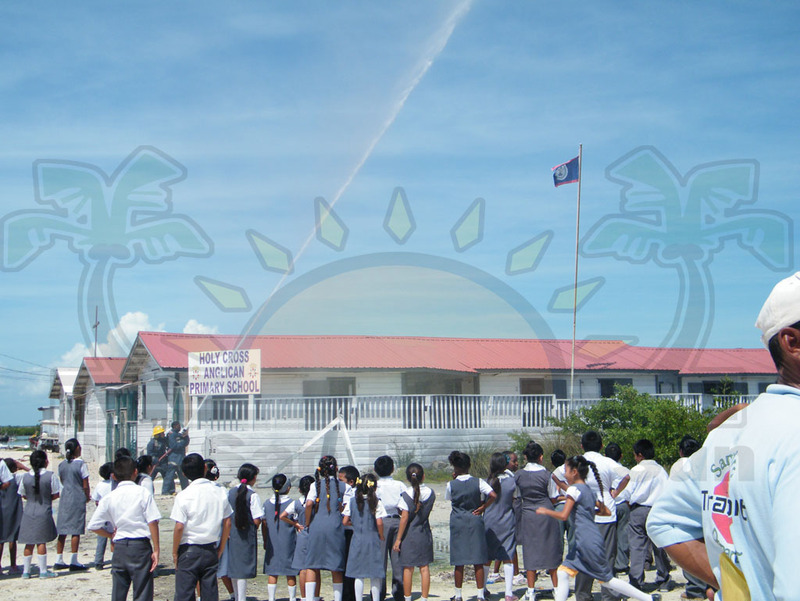 « Older: SPRCS Students elect representatives to ACFSC. 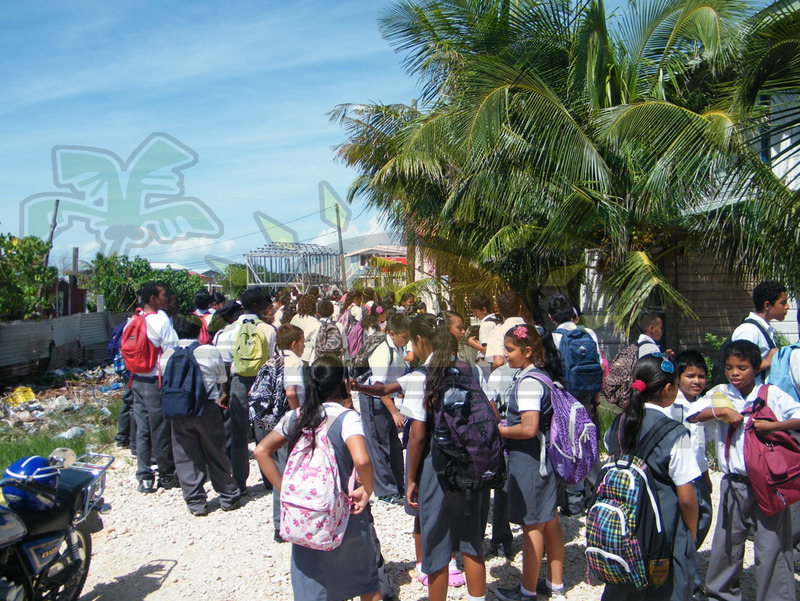 Students at Holy Cross and residents of San Mateo were ruffled by the sound of emergency sirens and the scampering of children from the school compound on Wednesday, October 17th in the mid-morning. 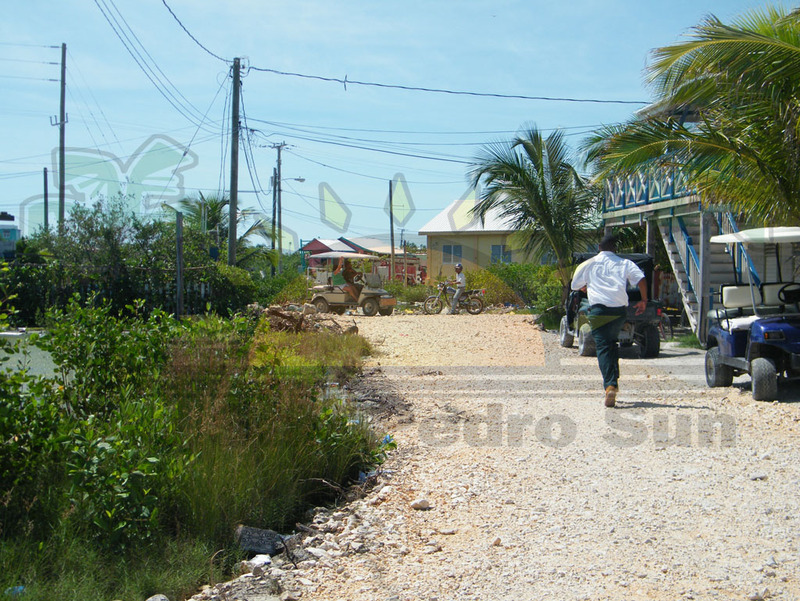 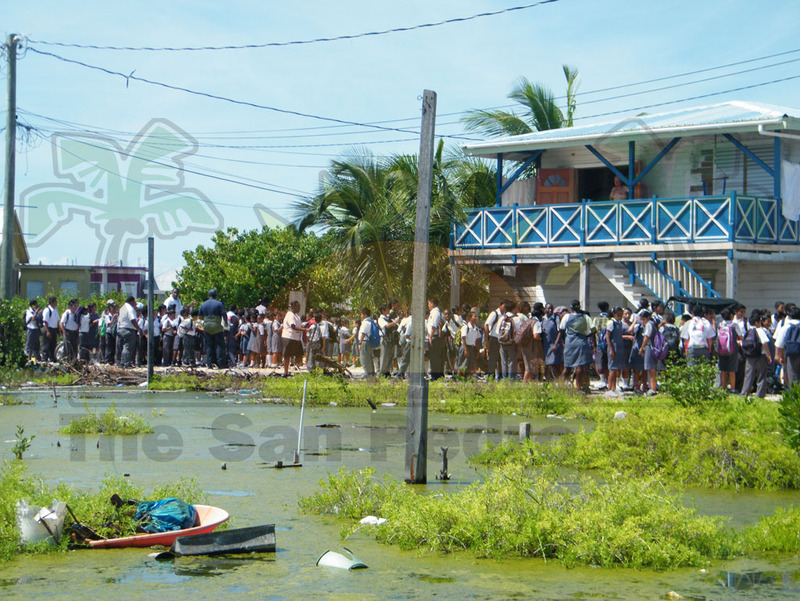 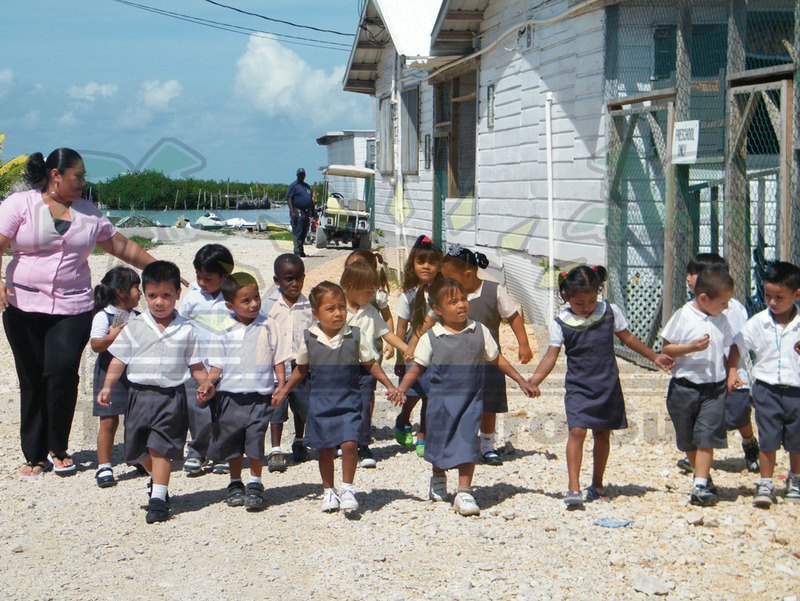 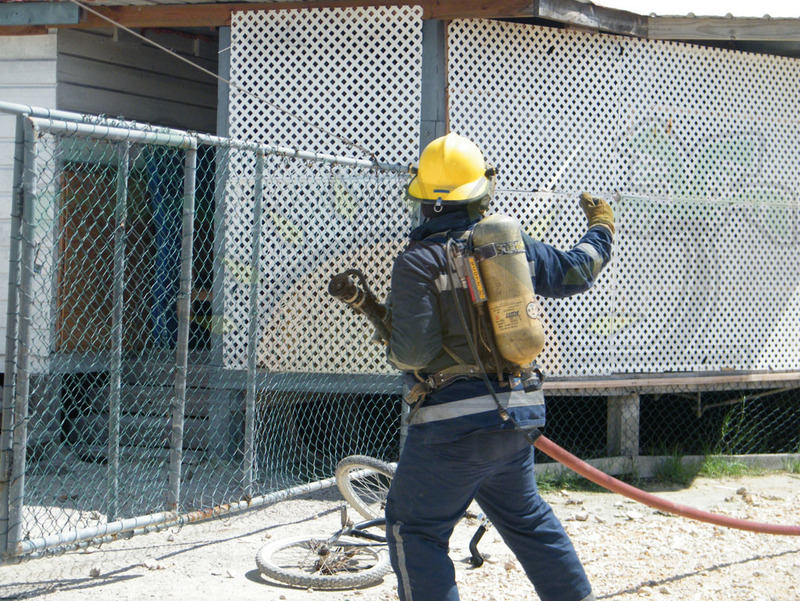 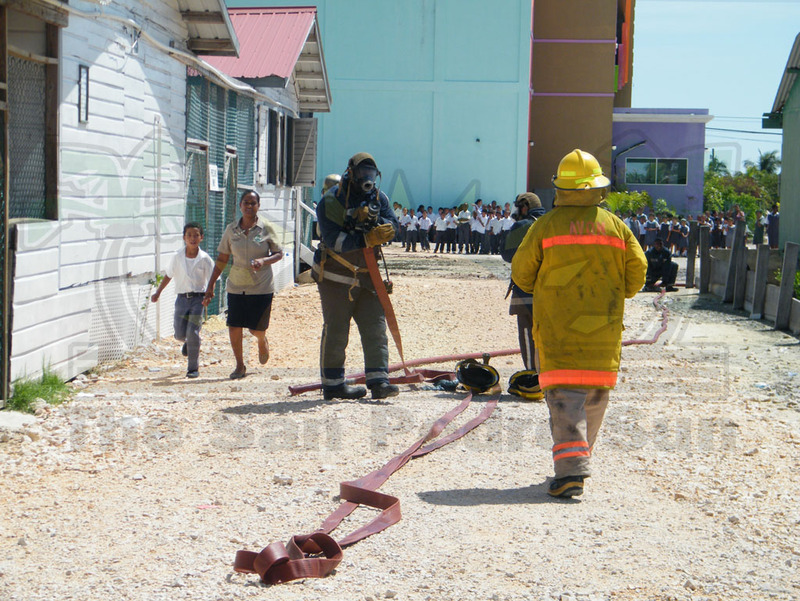 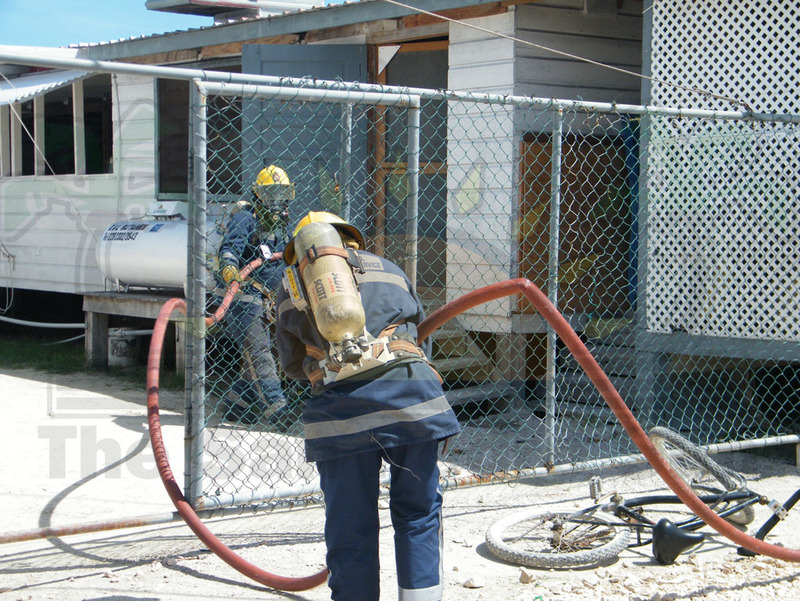 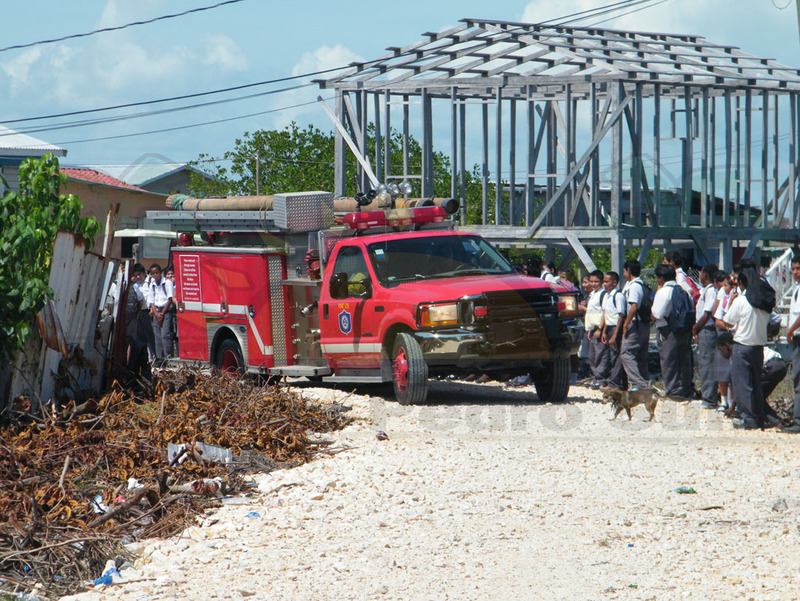 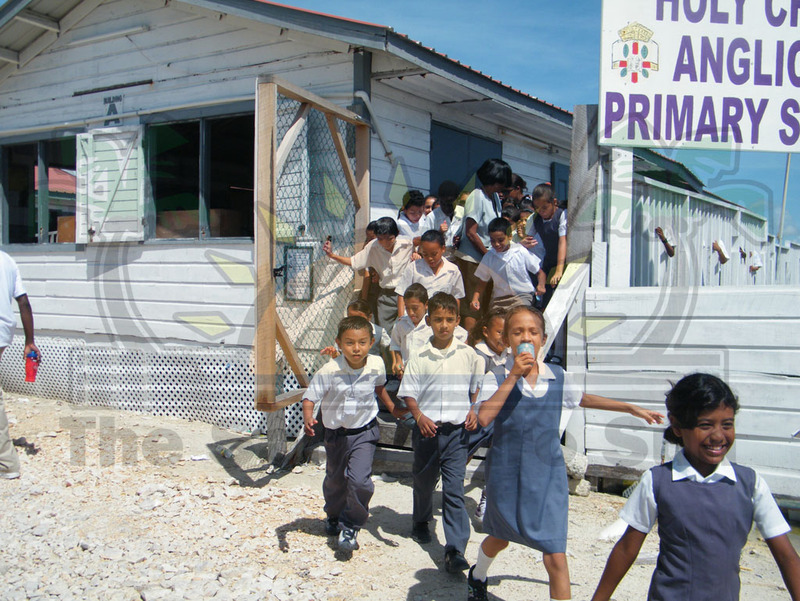 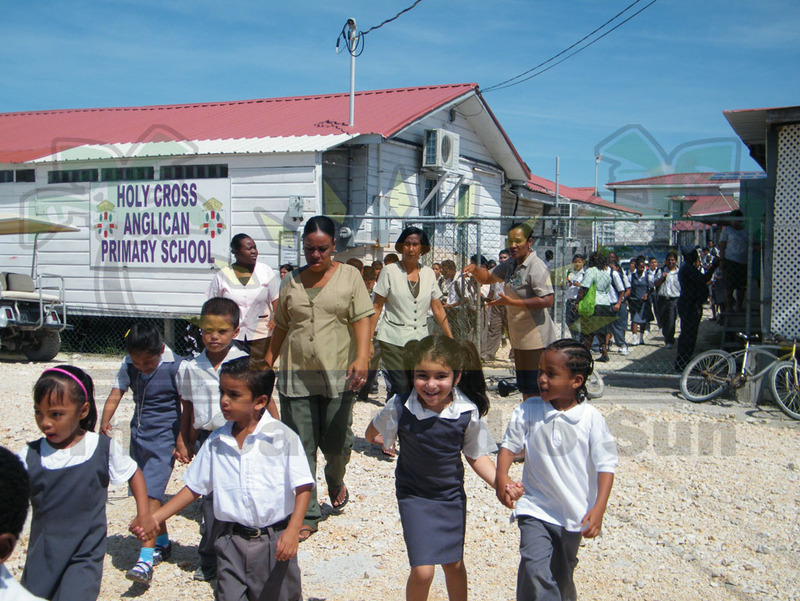 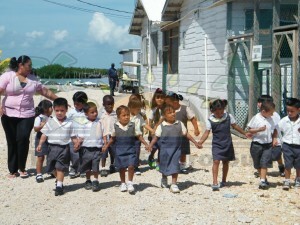 The commotion was the result of a routine fire drill carried out by the National Emergency Management Organization (NEMO) - San Pedro, along with the Ministry of Education to monitor and evaluate the school’s preparedness in responding to the threat of a fire. 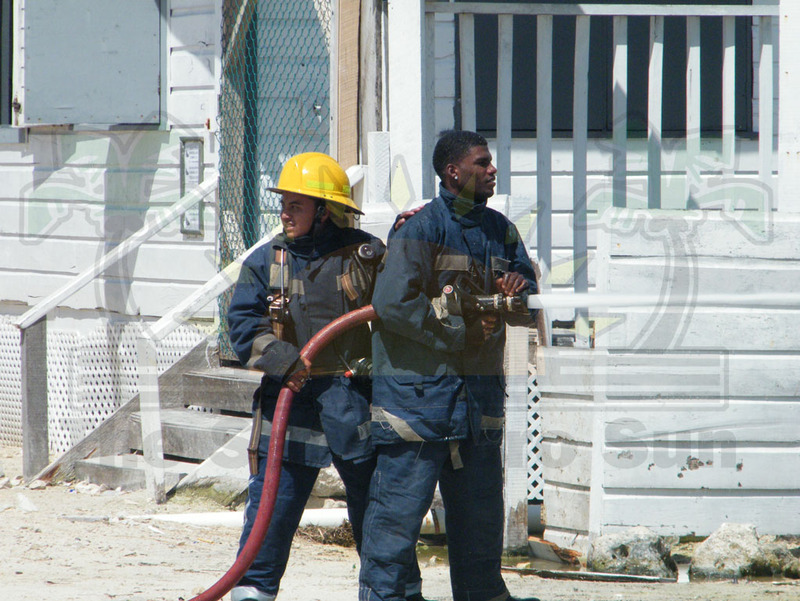 The exercise commenced sharply at 10:22 am and concluded at 10:53am. 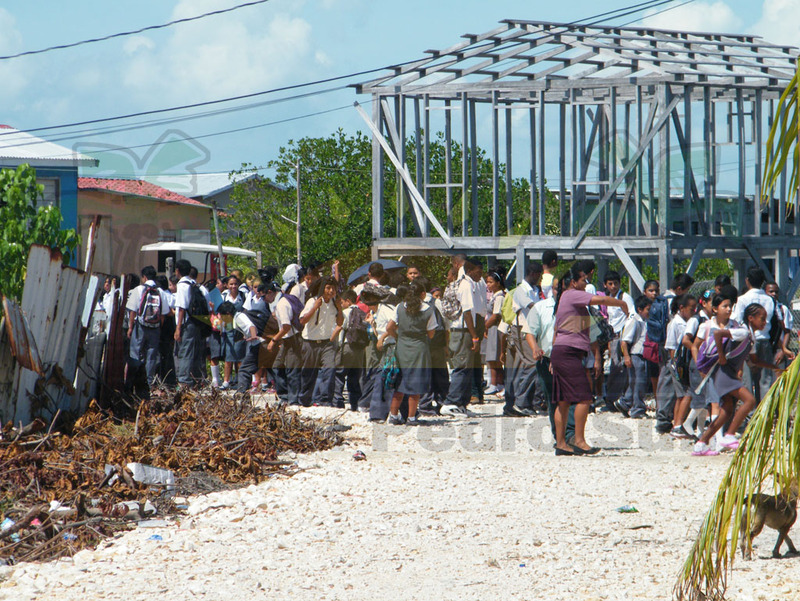 With over 500 students in attendance, the teachers were tasked to get all the students out of the school compound in an orderly manner, while maintaining their safety. 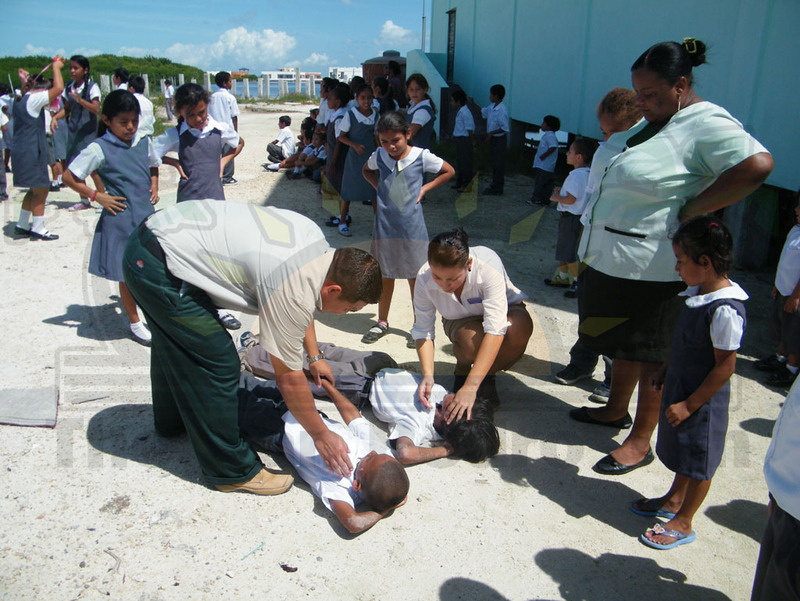 School officers were expected to follow protocol, informing all pertinent officials such as – fire, police, medical, transport and parents of the situation at hand. 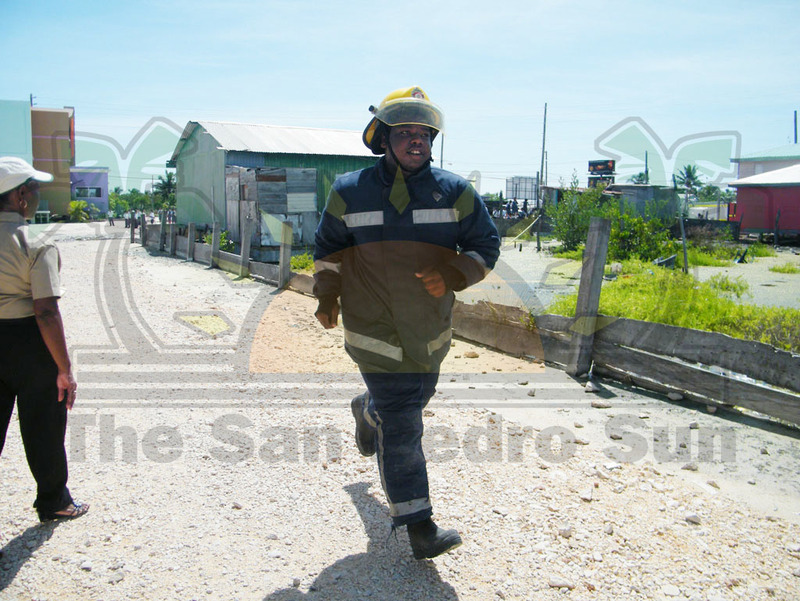 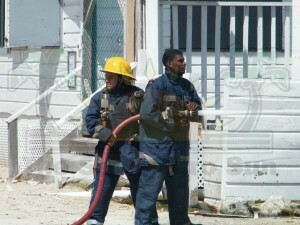 One transport officer and the San Pedro Fire Department responded to the drill. 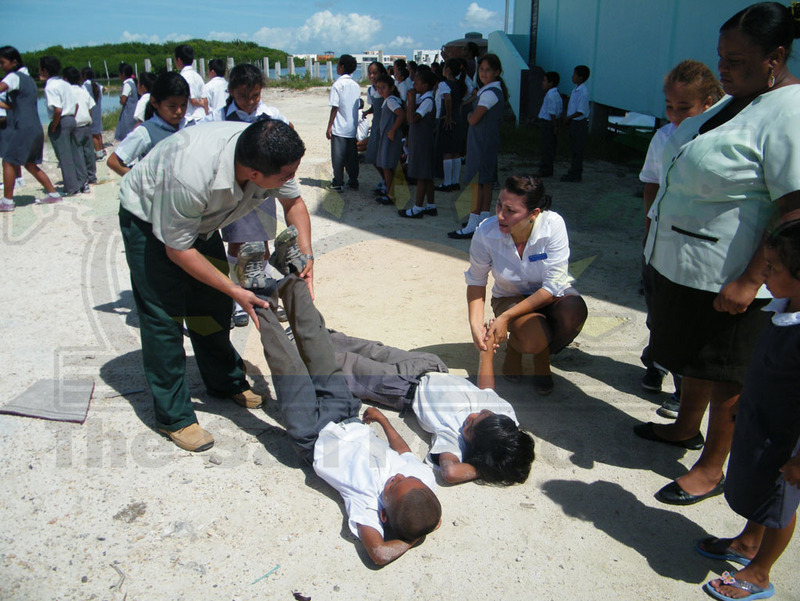 There were two students who “fainted” (as part of the simulation) during the exercise and were administered a mock CPR. 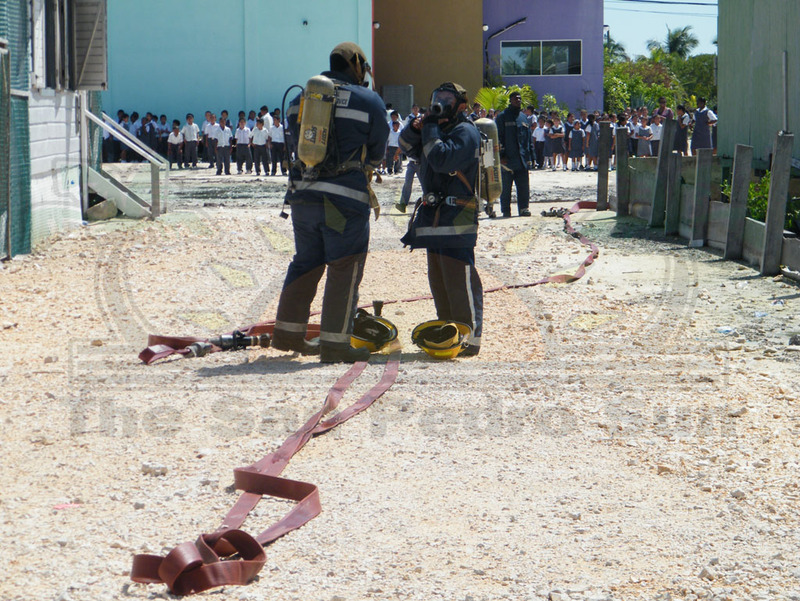 Following the drill, the Principal of the school returned to the NEMO office where the situation was analyzed and recommendations were made as to how to better respond to emergencies such as a fire.